Hereford, on the River Wye, is the Cathedral city of Herefordshire and lies close to the Welsh border with England. 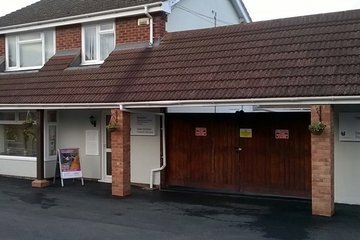 Serving the local population are 9 funerals directors in Hereford, mostly conveniently located close to central areas. Many of these are long standing, family run establishments. Like many UK cities, Hereford has a multicultural population but the county is also notable for its large proportion of non-religious people so there is likelihood that many Hereford funeral directors will be experienced in providing secular as well as religious funeral services. Hereford Crematorium, run by Hereford council, is located on Westfaling Street, to the west of the city, and it is situated next to Hereford cemetery, which is the only available cemetery in the city. The grounds are open every day throughout the year, while the office itself is open during the week. The cemetery grounds feature a Jewish section, a children’s section and a dedicated lawn section. 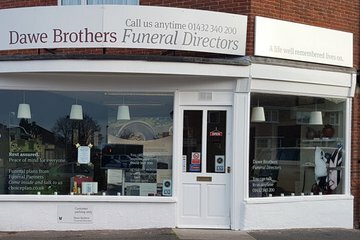 Search for local funeral directors in Hereford now to see funeral homes near you. You can filter search results by best rated, most reviewed or nearest to you. Click on a funeral director’s listing to see their profile page, where you can read independent customer reviews, search for recent obituaries, and learn more about the funeral services they can offer to you. 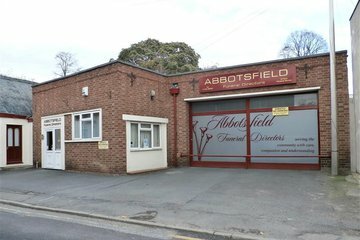 I found Abbotsfield Funeral Directors were professional and caring. They accommodated our requests with sensitivity. All the arrangements were carried out in a dignified manner. All of the people who helped us were kind thoughtful and considerate.We were helped in finding a wonderful civil celebrant, and also a beautiful order of service, and it was made possible for us to give my late sister the funeral she wanted. It was a wonderfully respectful and friendly service. Much appreciated. Courteous and helpful at all times.